Helooo Friends! Today I have a very sweet and soft card to share with you! 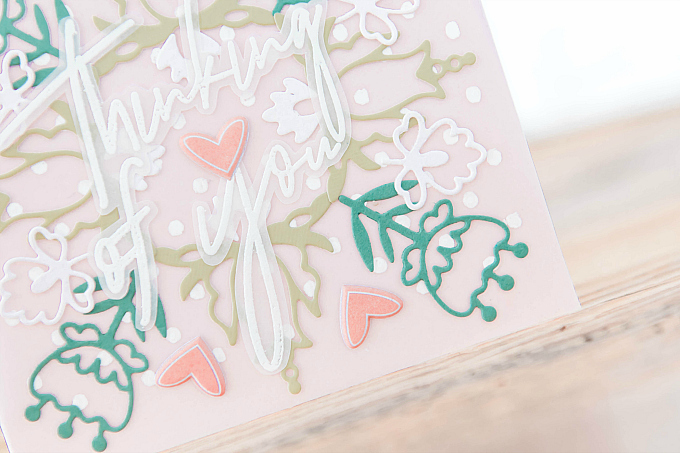 I've been absolutely in love with these gorgeous diecuts from Pinkfresh Studio and couldn't resist making a card that features them in all their glory! I love products like this that allow for a lot of possibilities - building scenes, standalone elements, or just playing with geometry + symmetry. For my card today, I started out with a soft pink base - I've been loving this Blush paper pack from Michael's. I layered a vellum piece overtop and then used my Tim Holtz polka dot stencil to add some white dots with a Signo pen. 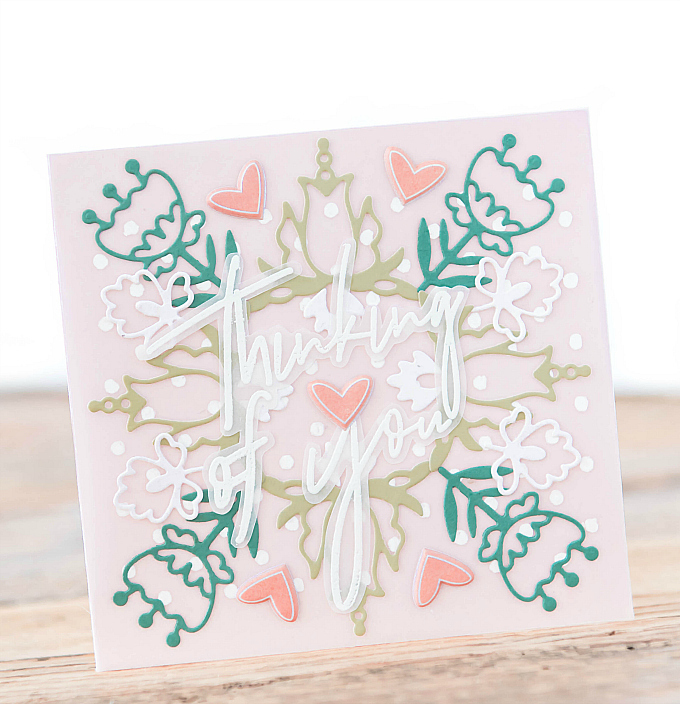 I used the beautiful Folk Art Elements dies by Pinkfresh Studio to cut out all the little details in white, warm green and cool green hues. 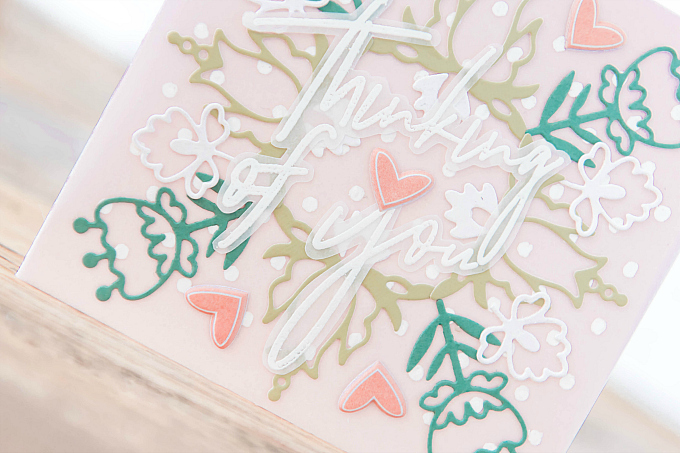 For the beautiful sentiment, I used Pinkfresh Studio's Scripted Bold Sentiments 1 stamp set, stamped and heat-embossed on vellum. I love that these sentiments are large enough to fussy cut - they look so delicate that way. 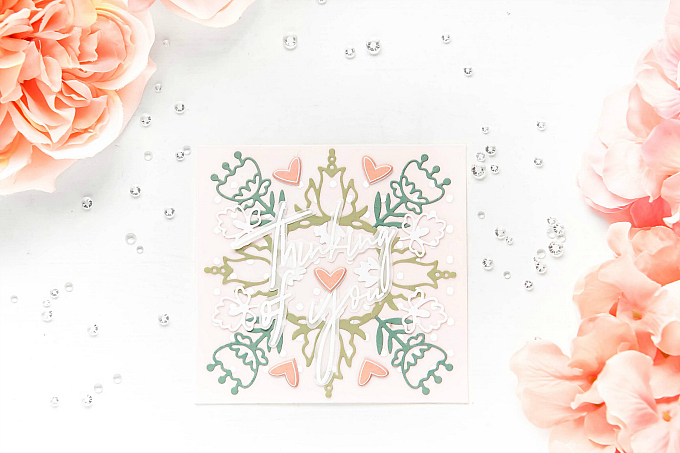 A few little hearts make this card just the perfect Valentine's greeting! 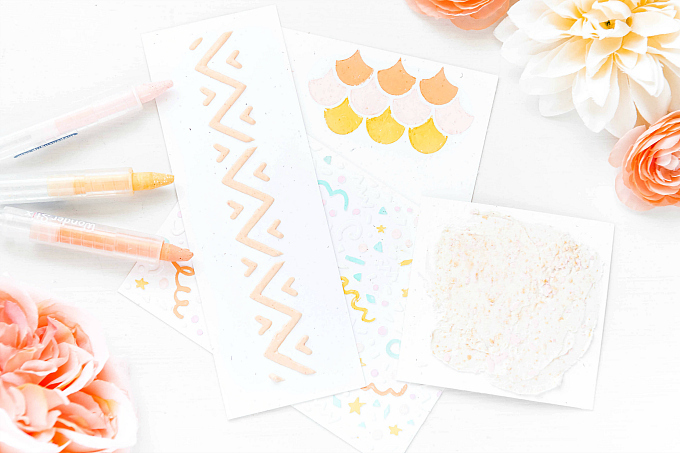 Do you love to make delicate cards? 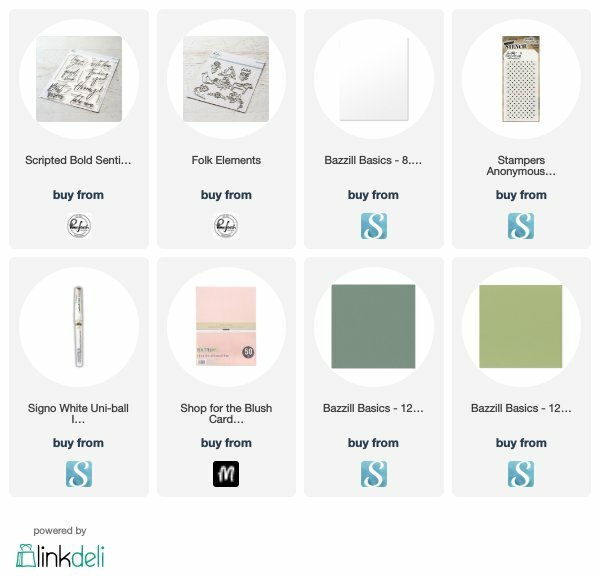 Share them with us over on Instagram! Your vellum sentiment is the icing on this delicate cake! This is simply lovely!